Bali boasts of sun laden beaches, dirt cheap spas, yoga studios, jaw-dropping islands, warm & friendly locals, fascinating culture, magnificent waterfalls and affordable luxury. A place where you can visit umpteen times and still can’t be bored with. Best for solo travelers, groups, family, extended families or as a couple. It just caters to everyone. For backpackers it’s a heaven, for digital nomads it is a second home, and for the luxury enthusiast, it is a love for eternity. Bali was on our wish list for a long time. In fact, we were supposed to fly in March but there was a last-minute change of plans and we had to postpone our trip. We stayed at different places just to savor the experience in a more relaxing pace but you can choose to stay at one or two places and cover most of the places in Bali. Grab a cup of coffee and read on if you too are planning something similar or planning a quick getaway in the near future. Our first stop was Sanur. An ultra posh beachside destination which is famous for beachfront luxury resorts and quirky café. Easy access to nearby islands and tons of water sports activities also makes it an ideal destination for a quick stopover before heading to nearby islands. Our first plan was to stay a day at Sanur and sneak out to Gilli T but unfortunately, due to bad weather, we had to cancel our trip. So, on our second day, we booked ourselves a day trip to Nusa Penida. It was one of the best decision ever. The island is darn stunning and less crowded than its nearby cousins. The views from the vantage points were breathtaking. If you have more days on hand, we would highly recommend to visit the three stunning islands off the coast or stay a day or two at one of these islands and visit the other two. There are daily ferries from Sanur and islands are also well-connected with ferries. It takes around 30 minutes to reach the island from the Sanur Pier. On our third day at Sanur, we went for a sea walking experience, ate our way through quirky café watching the waves crash and did some souvenir shopping. Watersports Activities – Snorkeling, Scuba Diving, Sea walking to name a few. Island Hopping Trips – Sanur is a perfect base if you are planning to hop on a ferry to the picturesque islands of Nusa Lembongan, Nusa Penida, Nusa Ceningan or Gilli islands for day trips. Where To Stay: We stayed at Maya Sanur Resort & Spa, Sanur. It is a stunning beachfront property and smack in the center of all the buzz. Ubud — the cultural capital of Bali. The soul of Bali you can say. Laid back lifestyle, lush greenery, paddy fields, preened terrace fields and the art villages are synonyms for Ubud. The streets are laden with interesting café, trinkets, dresses, knickknacks, home decor items, and paintings to name a few. We had an amazing time whizzing aimlessly on our bike, chasing waterfalls and chancing upon lesser known stunning temples and sampling street food. Nothing better to rent a bike and wander aimlessly. Vist Luwak Coffee Plantation – Bali Pulina or Alas Harum Coffee Plantation and learn about the process and the making of one of the costliest coffee in the world. Hike for a sunrise view to Mount Batur. Witness a dance performance at Ubud Palace or at Saraswati Temple as the sun sets. Get a spa done. We highly recommend Spa at Maya Ubud Resort or Five Element Spa. Eat your way through Ubud. Smoothie bars, vegan treats, farm to plate or just sample street food. Ubud Market – Shop for home decor items, paintings, souvenirs, cheap dresses, hats and fridge magnets. We stayed at Maya Ubud Resort & Spa, Ubud which is a beautiful property and quite close to the city center. The resort has won many accolades for the Spa and is one of the best luxury resort in Ubud. Our third stop was Jimbaran which is known for beautiful beaches and fancy restaurants. But one of the reasons for opting to stay in Jimbaran was AYANA Resort and Spa. We always wanted to stay at this beautiful property. 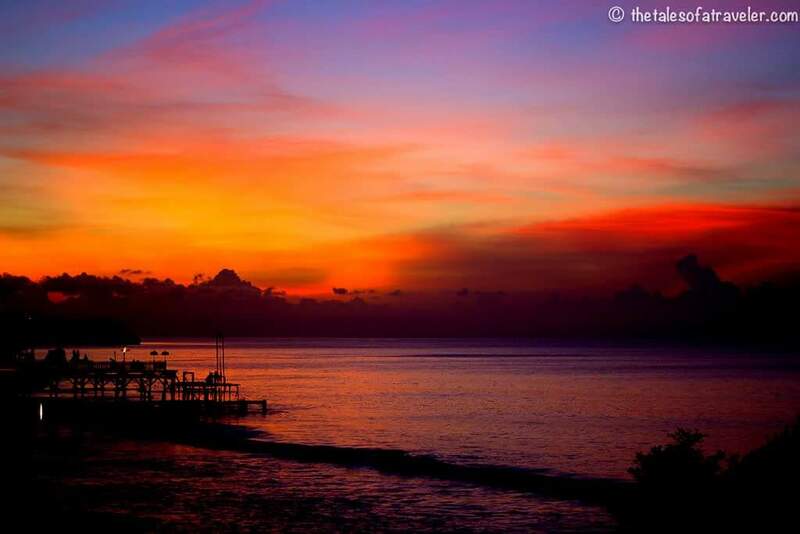 It is one of the most popular resorts in Bali and is also visited by many on day trips. Watersports Activities like surfing and bodyboarding. Where To Stay: We stayed at AYANA Resort and Spa BALI and Ayana needs no introduction. Our last stop was Uluwatu. It is more of a surfer’s paradise and one which is home to some of the best luxury resorts in Bali. All thanks to its cliff-side locations and the mind-boggling sunsets. If you want to stay away from the crowd and touristy stuff, Uluwatu is a nice place to unwind and pamper yourselves. Water Sports Activities – Kayaking, Snorkeling, Parasailing to name a few. Where To Stay: We stayed at Anantara Uluwatu Resort & Spa and the best part of the stay was the access to the Impossible beach and sweeping views of the Indian ocean. Perfect for a honeymoon or for a family vacation. Since Indonesia is part of VOA countries. Getting a visa and entering Bali is super easy. You just have to fly to Denpasar or any other international airport and clear the immigration. Visa Fee: For Indian passport holders, you don’t have to pay anything. It’s FREE. We usually withdraw money from ATM and use our forex card while traveling. But if you are planning to exchange currency then do it only from authorized shops not just from any random shop. At the airport, the charges are too high so try to get one from the local market. We bought from a local shop at Sanur. In Bali, you can survive with minimum or can splurge. There are too many cheap accommodations to luxurious stays to choose from. You can find cafe and restaurants providing cheap eats so it all depends on your spending. For Hotels: You can check Hotels in Bali, HERE , compare hotels and book one. Flights: Check deals on Air Asia website or you can also compare flights on Skyscanner, Via.com or Kayak.com to name a few. Locals are super friendly so don’t forget to strike a conversation. Be very cautious while exchanging money. We prefer withdrawing money from ATM. Check and take pictures of bike/ car before renting. Don’t forget to haggle while you shop, book tour or rent a car/ bike. Carry a Sarong while visiting temples. You can book a Uber from airport too. It is way cheaper than pre-paid taxis. Carry emergency cash as cards are not accepted at all shops. Indian Driving license works, you don’t have to apply for an International license to rent a bike or car. I want to go to Bali sooo much! Hope to go this year at some point. I will for sure copy your itinerary. I want to go to the hotel you stayed at – just WOW!! Types of people is oh so true. One day I’ll get there. such an elaborate post on Bali, nothing less than a guidebook. As usual, your pictures are absolutely stunning! Bali is one of those places that I hear a lot about, both good and bad. It’s great to see such a comprehensive travel itinerary. I love your “Things to remember” section and how you emphasize being friendly and open with the locals. Lots of great information here about Bali. I just assumed you sat on the beach all day when in Bali. I am glad to see there are plenty of things to do while in Bali. I would be interested in the temples and hiking while there. To see the beauty from above would be amazing. I loved the tips that you have shared at the end, esp on shopping and haggling. Wow… you saw the mantas… I have seen them in. Maldives and want to see them again. Loved Ubud the most in Bali … will spend most of my time there when I visit! Bali looks so beautiful and romantic. Careful in Exchanging money is great tip. Swimming pool looks so exotic. Wow what a detailed guide on Bali. I am sure Bali deserves much more time but not everyone can afford to spend months in one place. The most interesting part seems to be the exchange rate, I INR = 206 IDR… finally a place that can make me feel rich. It seems you got a little bit of everything in your 10 days! Nature, temples, luxury and the lot! A shame about the weather ruining your plans for Gili T, but Nusa Penida is one heck of a consolation prize! Bali looks like the ideal place for a holiday. I like all the fish you saw underwater. The beaches there are fantastic too. Bali has been on top of my bucketlist for so long! I would love to go there for a romantic vacation with my partner. Your photos are amazing! thanks for sharing these great tips and information on what to do in the different places, and what to pack and why 🙂 great post! Wow, this place looks so good. Thebphotos capture perfectly the beauty of this place 🙂 thanks for sharing such a wonder! Bali is definitely on my bucket list! Looks fabulous! My husband has visited Bali and loved it very much. Also the sea walk looks like an amazing experience. You always have such a great pictures in your blog! The sea walking seemed amazing, certainly up my alley of things to do on vacation. I knew Bali was beautiful but there’s so many different sides to this place, the beautiful sea, the traditional cultural perspectives and lush greenery. Def on my bucket list. This is a wonderful 10 day itinerary for Bali. A 30 day free visa on entry to Indonesia is perfect and easy for tourists. Your photos are colorful and beautiful as always! I am impressed that you were able to visit all these beautiful properties in a span of 10 days only. You look pampered and happy. Based on your photos, I like Sanur the most. The beach is breathtaking. I would love to explore the islands on a boat. OMG these images are amazing I am super jealous of your trip. Thank you for the information about applying for a visa I always seem to forget visas until I have planned all my trip lol. How amazing to have a bath with such a view and the pools look cool too infact I might just go and look at booking a trip now. Bali is impossibly beautiful! I’m drawn to lush areas. I love the feel of them, the smell, and of course the look! I also garden and find looking at lovely foliage so much fun. Sometimes I’m able to take inspiration home! My son and I have a succulent garden after seeing some really pretty ones in Hawaii. We would love to visit Bali! How awesome to read about your adventures in Bali. Bali really has something for everybody and is so diverse. The Maya Sanur Resort & Spa seems like a hidden gem, the pool and the green balconies are amazing. My travel budget is a bit different but those accommodations are stunning. This is SUCH a comprehensive post that I feel like I should hop on a plane to Bali right now! I’ve wanted to go to Bali since I was in high school, but I still haven’t made the trip which is such a shame. Your photos are stunning and make me realize that I need to finally get serious about the trip to Bali!! Well, you just made Bali shoot to the top of my travel bucket list. Every single place looks gorgeous. I’m saving this itinerary to inspire me to start planning my trip. Wow, wow, wow, what an inspirational post! I’d love to visit Bali. I live in California and for us the Hawaiian island are closer, so we always go there, but Bali looks so gorgeous. It is just SO beautiful! Every place that you visited looks amazing. I particularly like the sound of Sanur, which just looks like paradise and the Maya Sanur Resort like my kind of hotel. It’s great that you managed to see and do so much, but that you also had time to just relax on the beach. “Affordable luxury” – sign me up! Beautiful pictures, I bet the place is even better IRL. This is a pretty exhaustive and detailed itinerary. Bali is such a lovely and exotic location, that one needs to spend some leisurely time and get an immersive feel of the place. hence loved this itinerary, it is one that allows you to completely relax and rejuvenate in Bali. I have been to Bali twice and I visited Uluwatu and Ubud and I loved these places. I feel like I will have to return soon to visit the other two places. Bali looks awesome!!! Lovely post, helped us a lot in planning our trip ;). Just love the way you write di. Keep it up! This is a really good article about some of the better places to see in Bali away from some of the more touristy spots. Beautiful travel article – very detailed and exhaustive. The photographs from Bali are great! I have been to Bali before so I know how amazing that Indonesian island is but I hbe never stayed in one of the luxury resortand I can tell you that I was wow-ing all the time. If I had the view from a bathtub like that I wouldnt get out of there! All the resorts you stayed at all look very beautiful! Unfortunately we never have afford to stay in one of these places! Perhaps one day! Bali is one of my favourite South East Asia destination. I love the vibe of the place. I did stay at some of the most beautiful places in Bali but none in the mentioned by you. It’s a pretty detailed itinerary. I would just add North Bali to do. I feel that’s the most beautiful part of Bali. Climbing Mount Batur is an experience in itself. I love Bali, I went there for my honeymoon nearly 10 years ago. Maya Ubud Resort & Spa, Ubud looks like paradise, I definitely want to check this place out next time we are their way. That is a nice itinerary that you have put together there and it looks and sounds like you done a lot in the 10days. Talk about gram packed they are sorts of holidays that I love. That view of Nusa Penida Island is beautiful too. Good elaborate post on Bali. The hotels are oozing with luxury. I doubt if I would be able to step out for sight seeing. I prefer soaking in those pools may be. Yes the locals are friendly and inspite of language barrier they try and strike a conversation with tourists. Enjoyed reading this. Your photos are beautiful. Ubud has always been a dream of mine to travel to, since it’s such a popular destination in Bali but this post made me realize all of the other places I could travel too as well! I hope to visit Bali soon, it seems like such a gorgeous place. Loved your Post. Planning a 8 day trip to Bali, Would you recommend self drive car or bike for all sightseeing ? I am on a strict tight budget and want to explore the place on my own. Please suggest if self drive is safe there. If you are comfortable driving in India then driving in Bali is super easy. The roads are narrow just like the way we have in villages in India. Parking is also not a problem. The advantage of renting a bike is you can easily snake your way through traffic and park it anywhere. We have another post as well on Bali abt our Self drive road trip , do give a look. Oh, I love Ayana Resort and the Rock Bar as well. On the next trip to Bali, I will certainly choose it again. Bali is one of the most favourite visited travel Places. All the travel and adventure lovers must explore here at least once in his entire life. You guys are spending wonderful moment in here and explore all the wonders of bali. I enjoyed very must to read your article and i am getting crashed of this Place to saw all of your pictures. I still have not visited Bali. As soon as i want to explore this place and your guideline will help me for the best traveling experience in bali. Keep traveling guys and inspire us. OMG OMG OMG Look at those beautiful places, can’t stop myself to explore Bali. Thank You so much for the good information. its help me a lot. Wow, what an amazing collection of photos. I loved reading every bit of it. It refreshes the beautiful memories of Bali trip. This is first time I am reading your post. I am highly motivated to read your other stories.